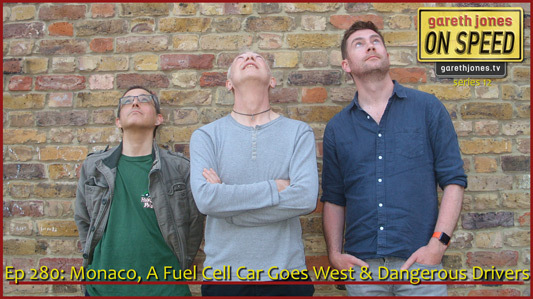 #280 Richard goes to Monaco, Gareth gets a Bieber in his bonnet and takes a fuel cell car way out west. Zog profiles the most dangerous type of London driver. Sniff Petrol on the darkest thing in F1. New On Speed music from The Supra Fiery Cannonballs”. 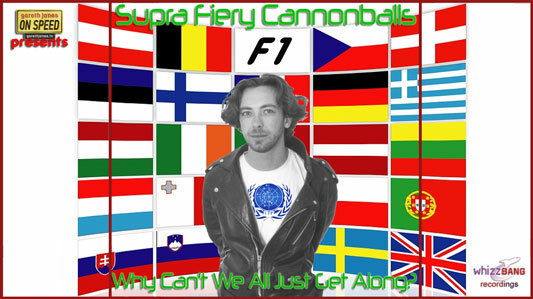 Supra Fiery Cannonballs - Why Can’t We All Just Get Along? I’ve got enough of my own. He had a few of his own. But he didn’t let the team owners moan. Is the most painful sport in the world? Why can’t we whip it into shape? Tybed os 'na obaith i weld heddwch yma nawr? Edrycha, dacw Jean Todt yn dwad. I wonder if there's hope to see peace here now. Look, here comes Jean Todt.